Sensible colors and excellent designs and romantic moods are reflected with an alluring style. 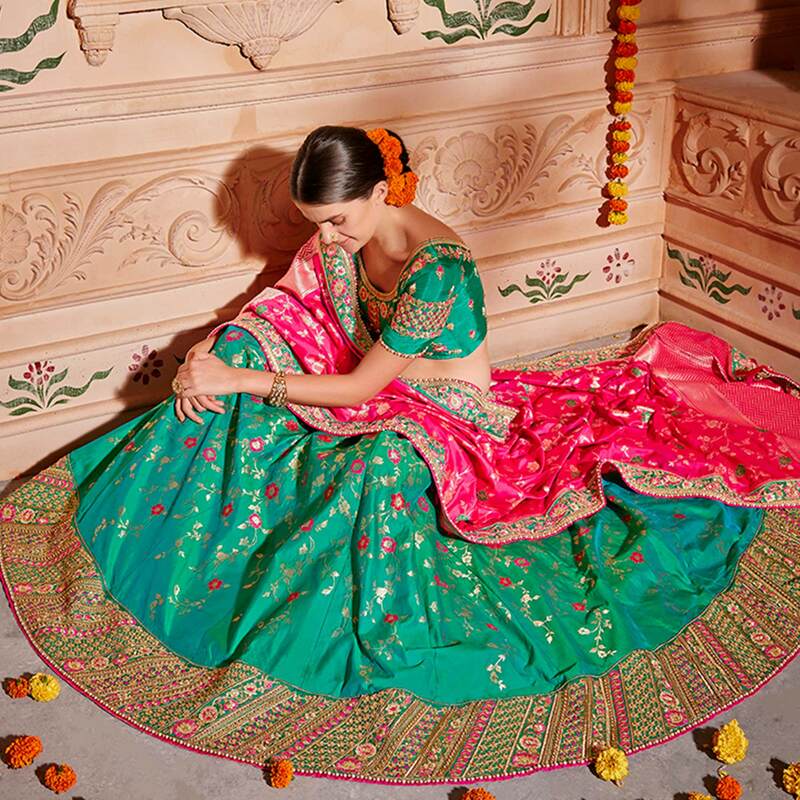 Create a smoldering impact by this stunning dark green colored pure raipur silk jacquard lehenga choli. 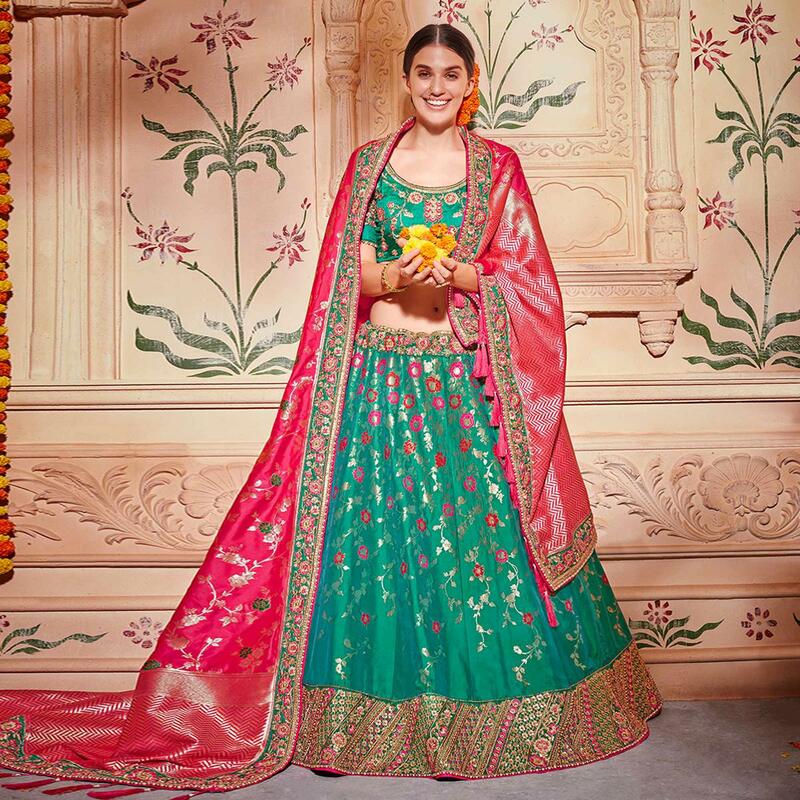 Beautified with eye-catching design within the lehenga adds a sign of elegance statement with your look. Comes along with matching pure raipur silk embroidered blouse and pure raipur silk dupatta with tassel border. Specially designed to wear for wedding functions, engagement ceremonies and special occasions, where you want to be center of attraction. Pair it up with golden jewelry to make your look more attractive. Buy this lehenga and earn lots of compliments from onlookers.